Last year Art Jameel announced a major new project for Dubai, today details for the new project Hayy: Creative Hub followed. 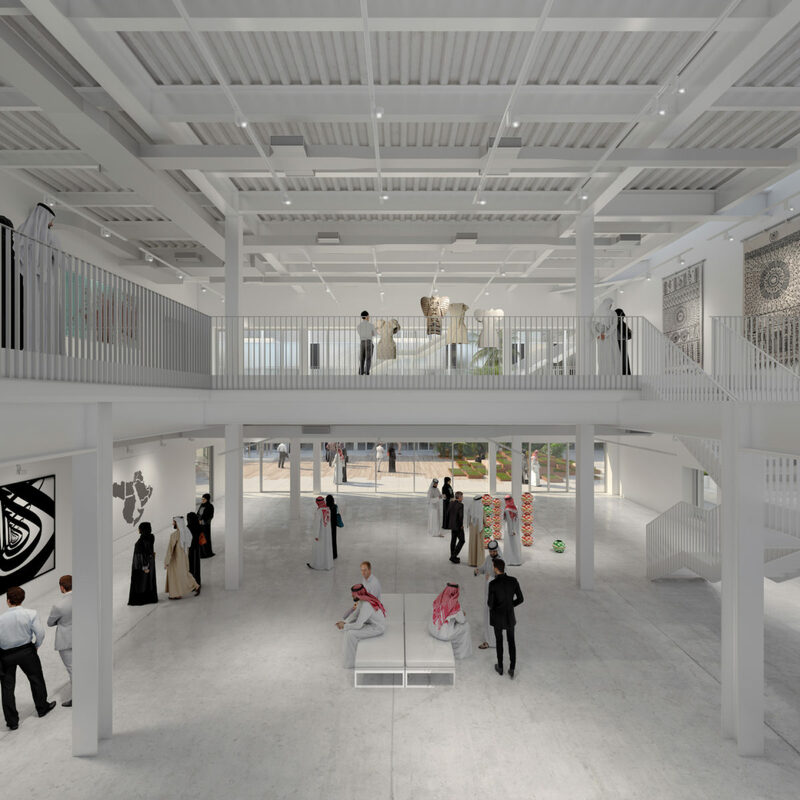 The 17,000-square-metre cultural complex will take place in north Jeddah, Saudi Arabia, and will include spaces for the arts, comedy, theatre and filmmaking. 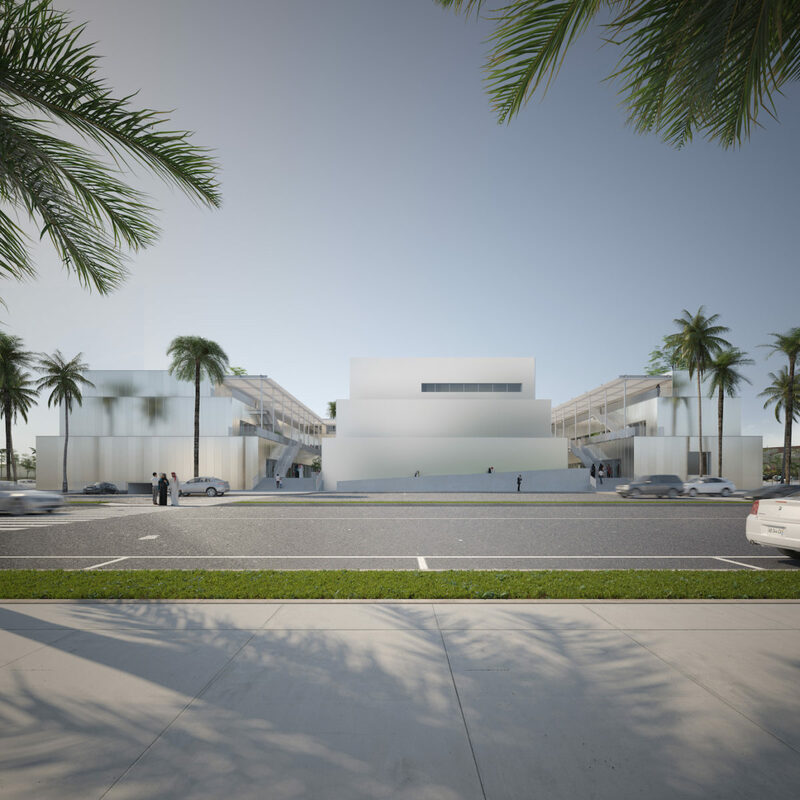 The 3-storey architecture by ibda design will include spaces for 12 cultural organisations, plus exhibition halls, a theatre, events spaces and artists’ studios. The opening is planned for spring of 2019. Art Jameel is an organisation that supports heritage, education and the arts. The name Hayy: Creative Hub derived from the Arabic word for neighbourhood – referring to the community-oriented nature of the complex, and the ways in which the partner organisations, which include art galleries, digital entrepreneurs, comedy clubs, cafes and more, are working together to present the full diversity of the arts. Programming will include local and international exhibitions of modern and contemporary art; a digital hub for upcoming Saudi Arabian producers and directors; a professional theatre plus performance spaces; and a rolling programme of educational events for all ages. Architecture: The Hub has been designed with internal openness, flexibility and connectivity in mind. The volume and interiors of the Hub are developed around a spacious central courtyard that acts as both the heart of the community and additional events and performance space. 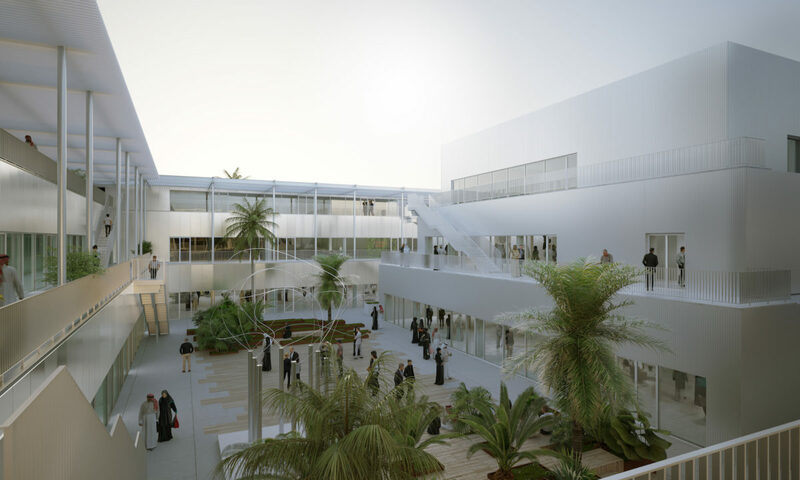 Further, the courtyard connects to the terraces above, linking the central space to the multiple levels and programs. This scheme, typical of Middle Eastern traditional architecture, allowed the architects to maximise the interaction between all the spaces of the hub, as well the flow of people inside and outside the complex. The design of the exterior facade responds to the need to maintain privacy while allowing natural light to flood into interior spaces. The scale of the stepped volume relates in a friendly way to its context and provides a subtle perception of the building from the outside. The facade facing the main access road is designed as a ‘blank canvas’, suitable for artists’ projections and installations. ibda design: Led by Wael Al Awar and Kenichi Teramoto, ibda design is an international architecture, urban and interior design practice based in Dubai with collaboration offices in Beirut and Tokyo. The firm was founded in 2009 by Wael Al Awar, who moved back to the Middle East after spending several years in Tokyo, collaborating with renowned Japanese architects and designers on various scale projects in Japan and around the world. In 2012, Wael Al Awar was joined by Kenichi Teramoto as a partner. Both Principal Architects / Designers had worked closely in Tokyo on several international projects. ibda design has a multi-disciplinary approach to design, addressing the social, environmental, economic and technological aspects of each project in order to tailor a highly specific concept to the given context. ibda design develops projects of varying scale and programme, approaching each in a unique manner, with the ultimate aim of delivering distinctive and high quality design.